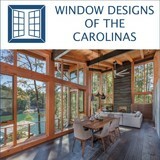 Window Designs of the Carolinas, Inc.
We connect homeowners and builders to new construction aluminum clad wood windows as well as aluminum clad replacement windows and sash packs. Whether you are planning to build your dream home, or you need competitive options for the next spec house, or if it is just time to replace your old, tired windows, we can help you plan and price the windows and doors needed to complete your project. Why spend all your time researching the many window lines and their product offerings, when you can have us do the research for you? Visit our "Products" tab to see the many window manufacturers we proudly represent. We have low overhead and can bring windows and doors to the marketplace lumber yards and distribution centers. We negotiate the best prices for our clients sparing them from tricks of the trade. Taylors Windows is a manufacturer of Vinyl Windows and Vinyl Sunrooms in Greenville SC. We sell our products, with professional installation, directly to home owners. This eliminates middle man costs and mistakes. Welcome to American Made Windows of Greenville, SC. Every American Made Window replacement windows and doors is rigorously tested to ensure a lifetime of satisfaction. Satisfaction that is ensured by our comprehensive "Peace of Mind" Limited Lifetime Warranty. Our commitment to excellence is abundantly clear. 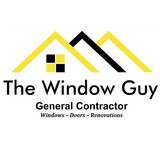 We don't just stand behind our replacement windows; we stand alongside our customers by providing exceptional service. Our team of dedicated professionals is just a phone call away, ready to assist before, during and after the sale. American Made Windows of Greenville, SC offers a start-to-finish replacement window and door process, where you'll get custom-crafted, energy-efficient replacement windows and doors professionally installed for you. Simply request a free in-home replacement window consultation and you'll be on your way to enjoying your beautiful new replacement windows and doors for years to come. We sell and install all American made windows and doors. Our unique installation process is what sets us apart from the competition. Call us for more information on how we are different. SALES - WINDOW DESIGNS OF THE CAROLINAS INC.
We connect homeowners and builders to new construction aluminum clad wood windows as well as aluminum clad replacement windows and sash packs. Whether you are planning to build your dream home, or you need competitive options for the next spec house, or if it is just time to replace your old, tired windows, we can help you plan and price the windows and doors needed to complete your project. Why spend all your time researching the many window lines and their product offerings, when you can have us do the research for you. Visit our "Products" tab to see the many lines of windows that we have access to. Because we have low overhead we can bring windows and doors to the marketplace much more efficiently and cost effectively than a lumber yard or window distribution center. We negotiate the best prices for our clients sparing them from tricks of the trade like a good deal on windows & doors while a lumber package may secretly be inflated to make up the difference of that "good window price". Here at MD Home Improvements we value every customer that has a project no matter the size. We are known for our outstanding customer service and attention to details. We specialize in a variety of services. We are your premier choice for all your needs. We boast experience and excellence in the market. Quality and customer service are our number one priority. If you want the job done right the first time; call MD Home Improvements today! 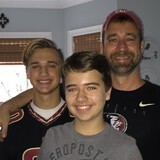 A great way to possibly lower your home energy bills and improve your energy efficiency is by hiring our window contractor in Taylors, SC, to give you honest service, and the staff at South Carolina Renovations will be committed to your complete satisfaction. You can count on our staff members to give you timely and accurate information, so you can make the best possible decision for your lifestyle. Our experienced contractors will use top-of-the-line products and the proper tools to complete each project quickly and properly. We'll Work Hard For You Our team pays close attention to all of the important details, and we're energy conservation experts who'll make certain that our work is very efficient. Our appointment times are very flexible to accommodate your hectic schedule, and we'll clean up the premises when we're done with the transformation. South Carolina Renovations is a locally owned and operated company that strives to fulfill all your needs. 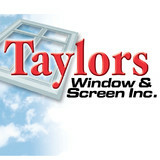 Contact our support staff in Taylors to meet with our window contractor. Founded in 1978, Jancik Arts International, Inc. (JAI) is a world-renowned artisan studio specializing in art glass and metal such as large stained glass domes and windows. JAI fulfills artistic visions for architects and interior designers in all types of environments: residential, commercial, religious, contemporary, and traditional. We are a full-service studio, supervising every aspect of the project, from design and production to installation. We at Window & Door Solutions focus primarily on sales of top quality windows and doors in the upstate of South Carolina. We will help arm you with the knowledge to make an informed, quality window and door decision for your individual building needs. Our top priority is to provide you with the best window and door products for your project. We have an extensive customer base that includes Architects, builders and homeowners. We have built our company on honesty, integrity, service and making sure that you are absolutely confident of the value for the dollars you are spending! We believe in customer satisfaction and that everyone should be treated with the utmost respect, courtesy and professionalism. It is these virtues that have provided us with loyal customers and repeat business for over 28 years. Whether you’re building a new Avery Creek home, remodeling an old one or just replacing a few windows that are past their prime, your window dealer in Avery Creek, NC will help you pick the right windows for your needs, home style and budget. Windows come in so many sizes and types that expert advice and direction is invaluable in helping you make the best decision. These pros can also help you with custom window designs that complement your space better than something ready-made. Lastly, if you are interested in doors with windows, these experts are also knowledgeable about sliding doors, French doors and other paned portals. Find a window dealer on Houzz. Narrow your search in the Professionals section of the website to Avery Creek, NC window dealers. You can also look through Avery Creek, NC photos to find examples of windows that you like, then contact the window professional who worked on them.